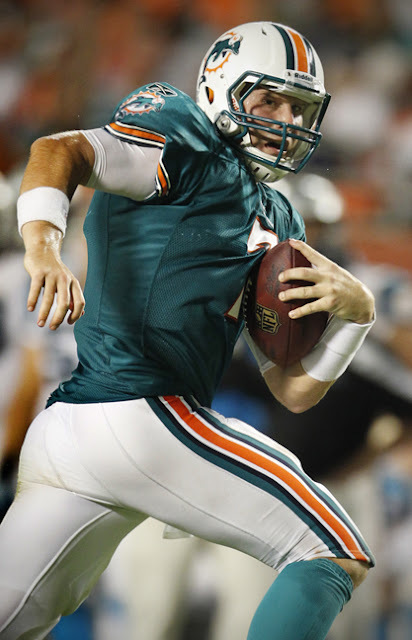 “Reggie, Reggie, Reggie!” Henne and Bush give Dolfans reason to dream. 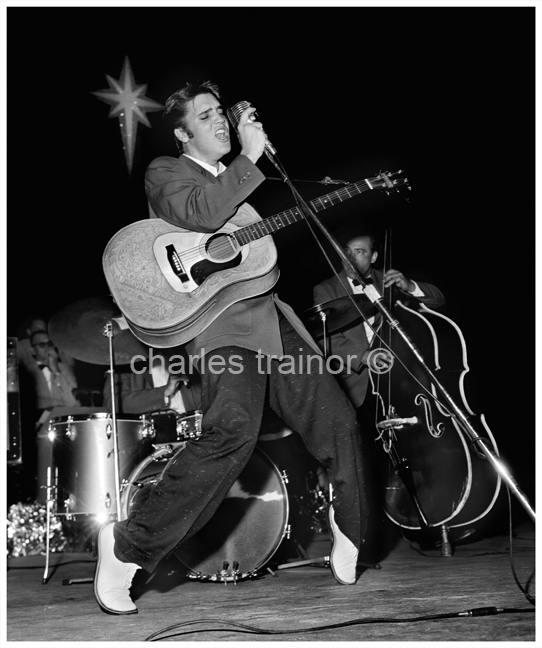 Elvis Presley performing at the Olympia Theater in Miami, Florida, 1956. Rare images of Ali, Elvis and the Beatles, discovered in an 8 X 10 Kodak paper box, were lost in time, stashed in a closet for decades. 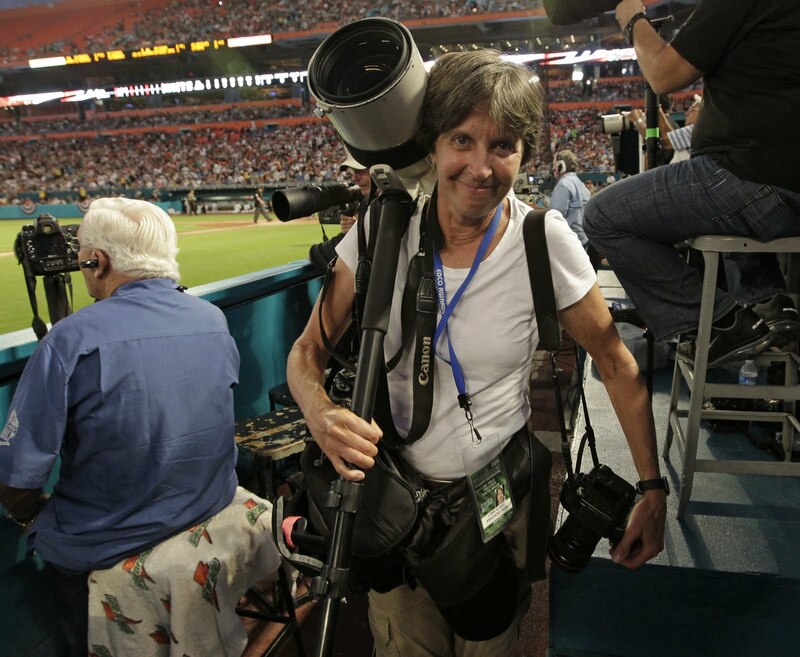 Charles Trainor Jr., the son of Miami News photographer Charles Trainor, found the negatives of the iconic images while helping his mother move from his childhood home in Miami. “I kept finding negatives everywhere,” Trainor said. “I sat for weeks looking at every single frame and just finding gems that, at the, time weren’t considered maybe great images but 50 years later they are fantastic images!” Trainor said. He is especially impressed with the Elvis pictures. “He was using a camera where there is one shot, BOOM! You would have to pull the film out, turn it around and put it back in. It took three minutes to shoot a picture. 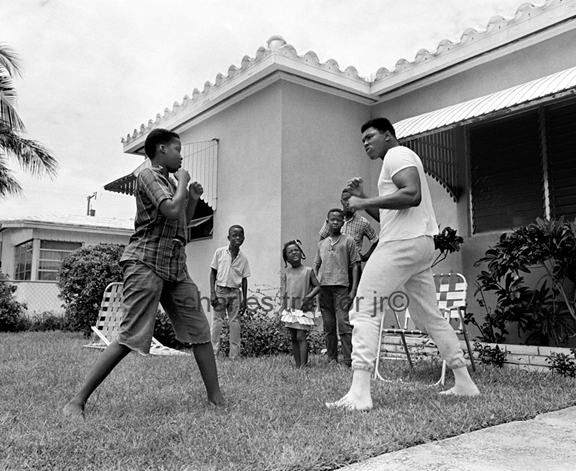 His composition, if you look at the photograph of Ali boxing with the kids, his lower angle of the house, that all leads into the subject. “I have to give my dad credit” Trainor says. His father found an artsy way to record these celebrities. Aesthetically pleasing, technically proficient, the images stand the test of time. Armando Arorizo, owner of The Perfect Exposure Gallery, met Trainor during the NBA Finals in Miami. 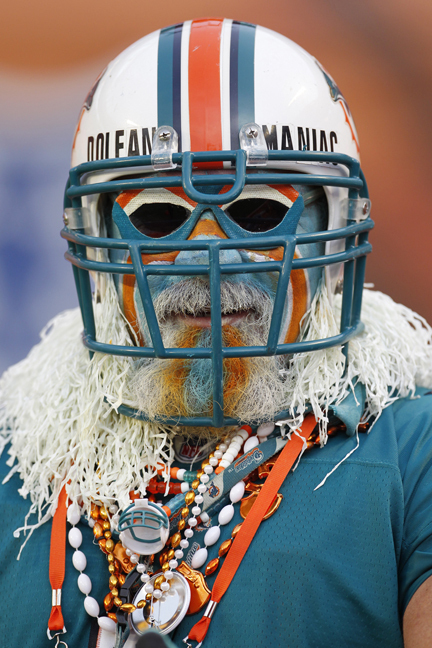 “We sat for lunch at the AmericanAirlines Arena and I was told about the great images on film Charlie had discovered. “There is still a great demand for those early images shot on film. They are rare single frame shots, unlike today, with the click, click, click of a motor drive,” Arorizo said. The reception opens at 6-9 tonight, August 18, at The Perfect Exposure Gallery 3519 West Sixth Street, Los Angeles, Ca. 90020. 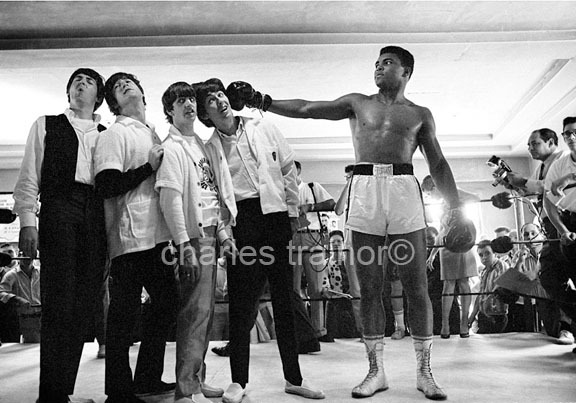 Intersection of Greatness-The Legends Meet in Miami features rare historical images of The Beatles, Elvis and Mohammad Ali captured against a Miami backdrop. This exhibit honors monumental anniversaries in pop history as 2011 marks 50 years since the Beatles had their first ever gig at The Cavern in Liverpool and 55 years since a trio of firsts for Elvis: RCA single release: Heartbreak Hotel, movie appearance: Love Me Tender and television appearances. Charles Trainor (1927-1987) was a photographer in Miami from the 1950’s to the 1970’s. During the middle years of the last century Trainor crossed paths with subjects that would become icons in the present day. The photos of Elvis, The Beatles, and Ali not only defined his photography but also a city that was becoming a player on the world’s stage. Miami was the point in all three of their history where the world took noticed, two with concerts and one with a fight. Trainor’s dramatic photograph of the late U.S. President John F. Kennedy caught the attention of the late President who requested a copy of the photograph and returned one to Trainor with his signature. Over the years Trainor’s work was published in national and international publications: LIFE and LOOK Magazine, PARIS MATCH, GEO, SPORTS ILLUSTRATED, ROLLING STONE Magazine and various books and documentaries. Mohammad Ali in Miami, Circa 1960's. To skin or not to skin, which component system do you use? 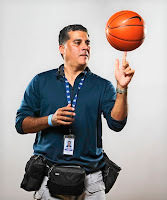 El Nuevo Herald Photographer Hector Gabino uses the Think Tank Photo Modular belt system while waiting for Miami Heat's LeBron James to show up at Media Day. 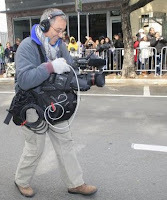 El Nuevo Herald's Jose Iglesias using the Multimedia belt system. 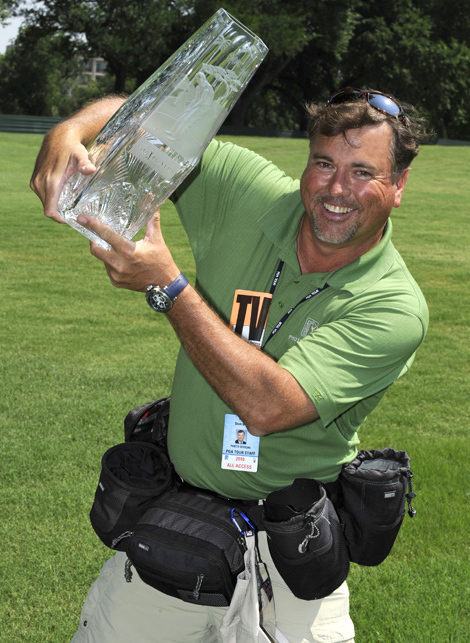 PGA photographer Stan Badz seems to believe Think Tank Photo should receive an award for the Modular Set! WHAT IS A MODULAR COMPONENT SYSTEM AND WHO USES IT? 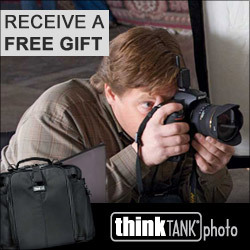 My friend Alex Kolyer called yesterday asking which Think Tank Photo belt system he should buy. "Skin or Modular?" He's not the first to ask. I told him I use the Modular belt system that has the extra padding. I often use the Lightning Fast when I want to go light for quick jobs. 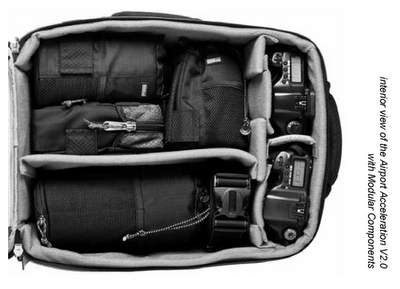 Think Tank Photo is making the rare move to put their Modular, Skin and Multimedia HDSLR Camera Bags and Belt Systems for Sale at 20% off. So now is the time to buy before Fall and the football season. Here is a break down of what Think Tank Photo has to offer. It will guide you on what system works best for you. A Modular Component System is the best carrying solution for photographers who require quick and immediate access to their photo equipment. It consists of individual lens and accessory pouches that attach to and slide around a specially designed belt. 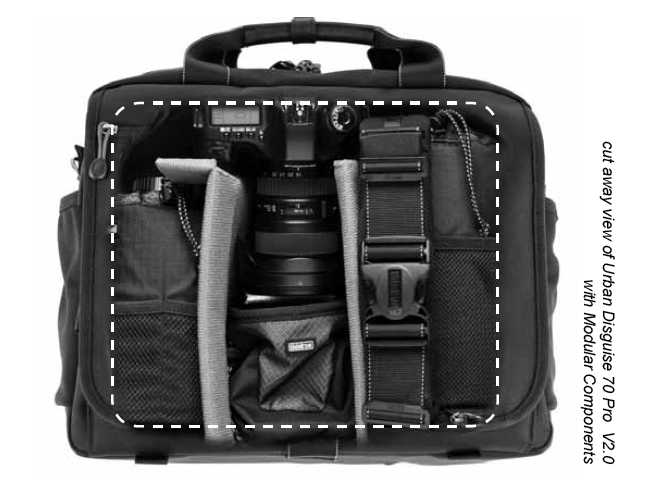 Since the pouches are modular, the carrying system can be reconfigured to match any assignment, under any condition. Modular Component Systems are used to shoot sporting events, weddings and other news gathering events where rapid camera gear deployment is essential. 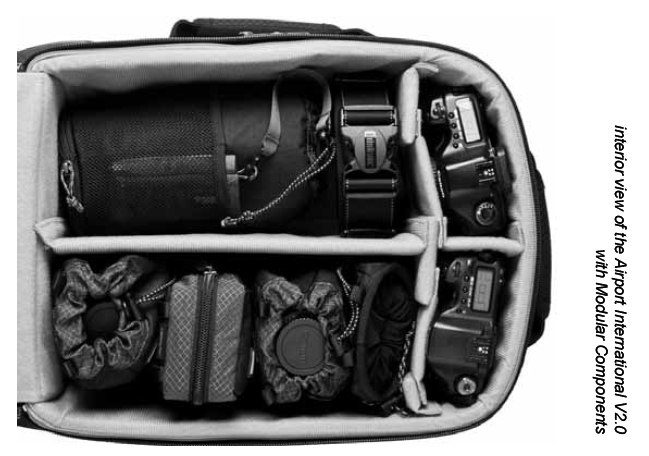 The ability to customize a lighter weight, less cumbersome carrying system has also attracted more travel and nature photographers to the Modular Component System.Some photographers choose a minimalist approach to photographing an assignment. Rather than carrying a shoulder bag or backpack, they choose to carry one or two DSLR cameras, ready to shoot. A Modular Component System facilitates the use of multiple cameras, as well as additional lenses, batteries or flashes. Continue reading for more key features and how your style of photography can benefit from using Think Tank Photo’s Modular Component System. 1. ROTATION: the ability to rotate or slide component bags individually around a belt. 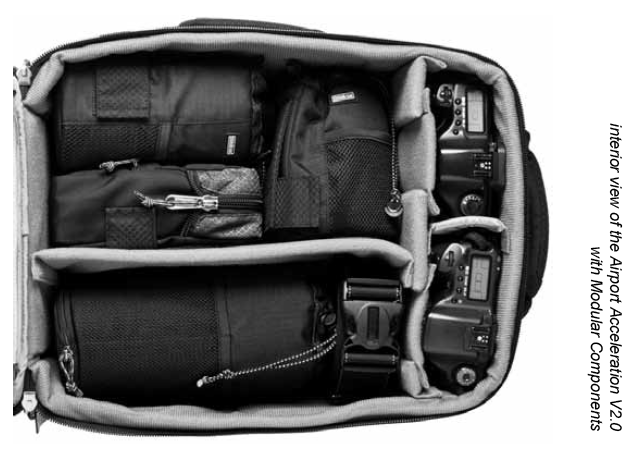 All Think Tank Photo Modular, Skin and Multimedia Components are designed to ROTATE on the belt for immediate ACCESS to gear and overall comfort. - Rotate: enables components to slide freely around the belt. - Lock: fixes components in static positions on the belt. comfortable since the position of the weight is changed. crouched, laying on the ground, or braced against a wall. all Thin Skin and Pro Speed Belts, right over the front buckle. are considered “fast” lenses because of their wide aperture openings. across the lens, causing lens flare and decreased color saturation. to reattach the hood in the proper position. can remain retracted and the lens hood reversed for storage. struggling with its lens hood, and reattach a different lens quickly. carry a 70–200 f2.8 lens with its hood in position. fold make packing and storage easier. some padding for the lens. through a crowd extremely difficult. thick foam become a hindrance when navigating through crowds. photographer’s profile when the lens is removed from the pouch. hook-and-loop ripping apart becomes a distraction and nuisance. need to be used to keep the belt snug around the waist. adjusted tighter around the waist. solutions for transporting camera gear from one location to another. best method to be prepared to capture spontaneous moments. 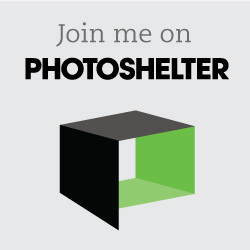 without being identified as a photographer with expensive equipment. 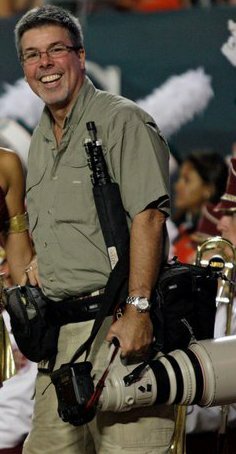 System used during the actual shooting of the sporting event. can too, with this comfortable belt. zoom lens for shooting near the end zone or for post game portraits. includes a lanyard for keeping it connected to a bag, to prevent loss. one DSLR body and the 16–35 to another. and packs easily for travel. to the 70–200 is necessary but an extra DSLR body is not available. the lens hood in position. lanyard for keeping it connected to a bag, to prevent loss. flap makes when it is opened. 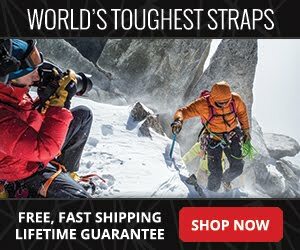 Pro Speed Belt or Skin Belt: Either belt will work in this application. It just depends on personal preference for a padded or unpadded belt. its lens hood in position. pocket for business cards is built in and carries a small stack cards. 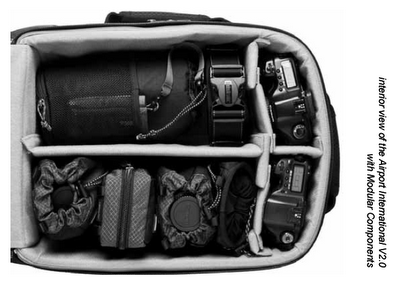 solution” is typically a carry on size rolling camera bag or backpack. System to work as light and free as possible. It depends on personal preference for a padded or unpadded belt. can slide on the belt or be locked into position. Skin 50 or Skin 75 Pop Down: These lens pouches are very versatile. excursions, bringing just the right combination of gear for the moment. to a bag, to prevent loss. they hold fast lenses such as a 16–35 2.8 or a 70–200 2.8.
are new to the Modular Component System concept. for travel because it packs completely flat. (usually four to six components) on the belt. various positions on the belt to find a comfortable position for the bags. advantageous to always have gear situated in front of the body. • Completely unpadded for least amount of bulk. • Does not protrude away from the body like heavily padded bags. • When the lens is removed, it lays completely flat against the body. stays completely open for fast lens changing. be switched on or off . • Ideal weight and easily packable sizes for traveling. completely open with an elastic drawstring closure. microphone sets, and Marantz or Edirol audio recorders. • Fully compatible with the Multimedia Wired Up belt packs. 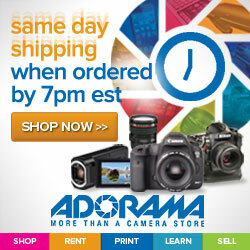 • Five different sizes to carry DSLRs with lenses attached. • Fully compatible with Think Tank belts. • They can attach and either slide on the belt or be locked into position. lens hood can be extended and in position. 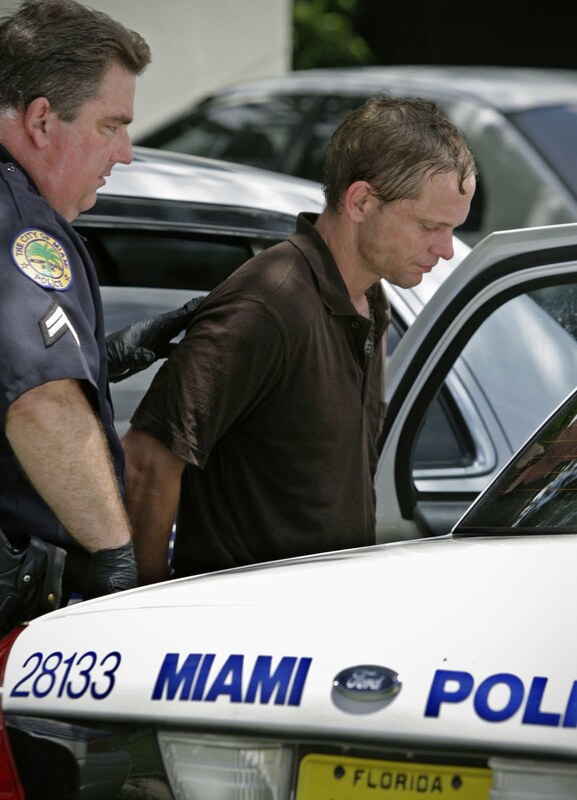 Burglary suspect James Dewey Bretthauer was taken into custody by City of Miami Police after being chased down by taco vendor Moises Gonzalez, seen here at his taco stand Taqueria Mexican "Orale!." Miami Dade County Drug Court Judge Deborah White-Labora and then held at gun point by Iragi war veteran Ian Vaquero. Bretthauer, using roller blades, grabed a camera belonging to Miami Herald Photographer Al Diaz who was on assignment to photograph the Taco vendor at 17th Street and 27th Avenue in Miami. A suspected thief led pursuers on a chase that ended when an Iraq war veteran sorted things out the Miami way -- with a gun. A subpoena just arrived for me as a witness on the case of James Dewey Bretthauer. The trial will be held August 8th. Here is the back story. Heard the one about the judge, the taco vendor, the pistol-packing Iraq war vet and the thief on roller blades? 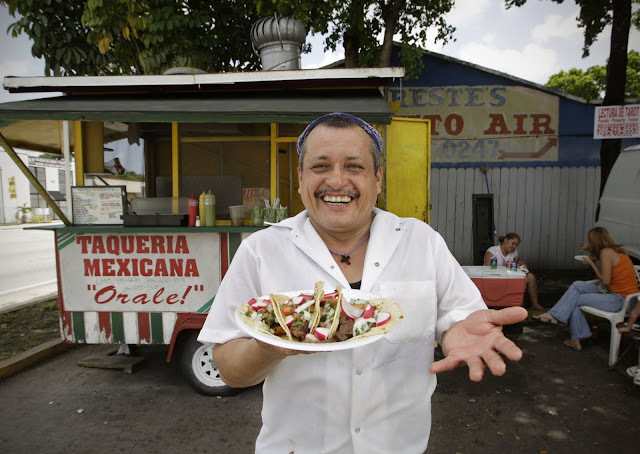 It apparently happened Wednesday when Al Diaz of The Miami Herald was preparing to photograph the Taqueria Mexicana Orale taco truck at Northwest 27th Avenue and 17th Street for a feature story. He briefly placed his camera on a chair to set up some lighting equipment. Taco stand owner Moises Gonzales, incensed at the interruption, tore out on foot after the roller-blader. A food inspector joined him. That's when Deborah White-Labora happened along. 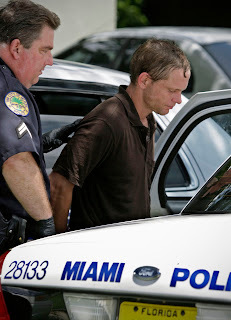 A judge in Miami-Dade's drug court, White-Labora was driving a white Scion minivan with her two children, 17-year-old Christopher and 20-year-old Amanda, having just visited the bank to pick up some travelers checks en route to Miami International for a flight to Peru. 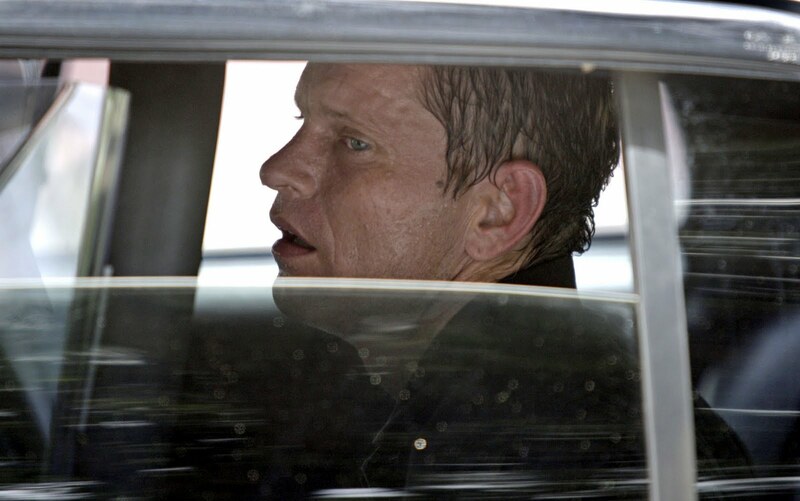 Gonzales flagged down the van, barked out ``follow that man!'' or words to that effect, and the pursuit continued. The minivan overtook a roller-blader at 3071 NW 18th Ter. Christopher bounded out of the car and ``pounced like a cobra'' on the skater, said Amanda. Gonzales, the taco maker, joined the fray. Ian Vaquero, in whose front yard the chase ended, didn't know what to make of the wrestling match. So the Iraq war vet sorted things out the Miami way, drawing his 9mm Smith & Wesson and telling everyone to freeze. 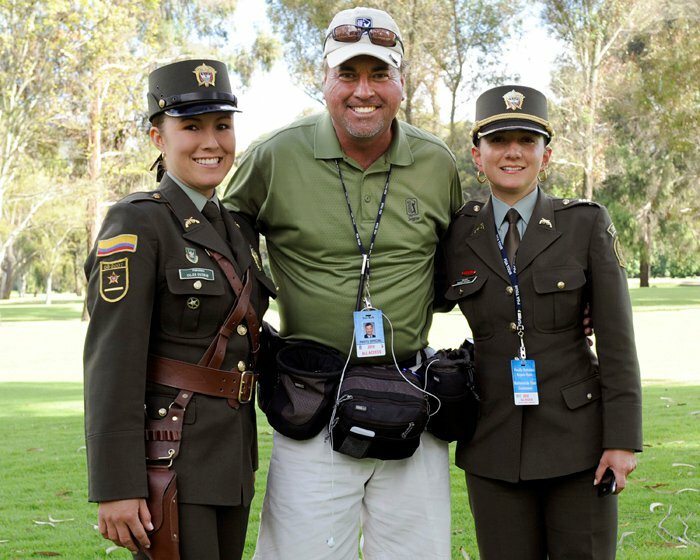 ``Thank God for the Second Amendment and armed civilians,'' said Christopher. The skater, James Dewey Bretthauer, was hauled off to jail, charged with theft. The judge's children made it to the airport. Joe Zaragoza, a customer at the taco stand (and commander of Veterans of Foreign Wars Post 1608), was so impressed by the citizen intervention that he gave Gonzales and Vaquero each a $100 reward on the spot. Diaz, who had to guard the rest of his gear while the others gave chase, got his $5,000 camera back, albeit damaged. He got a photo of the alleged thief, using a second camera. Here is the backstory to the backstory. I photographed Miami-Dade’s drug court judge, Deborah White-Labora, in court a year prior to the robbery. The portrait of US Army Iraq war veteran Ian Vaquero appeared on the front page of the Miami Herald three months before the robbery. 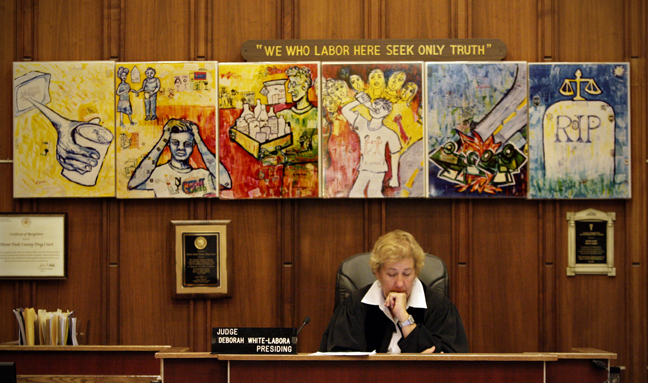 This is drug court judge Deborah White-Labora in Miami-Dade Court, 2009. the Eleventh Judicial Circuit of Florida was the first in the nation to implement Drug Court, a diversion and treatment program for drug offenders which is overseen by the Court. The Program offers drug offenders the chance to avoid prosecution, get off drugs and change their lives in a positive direction. Ian Vaquero, is a veteran from the Iraq war. 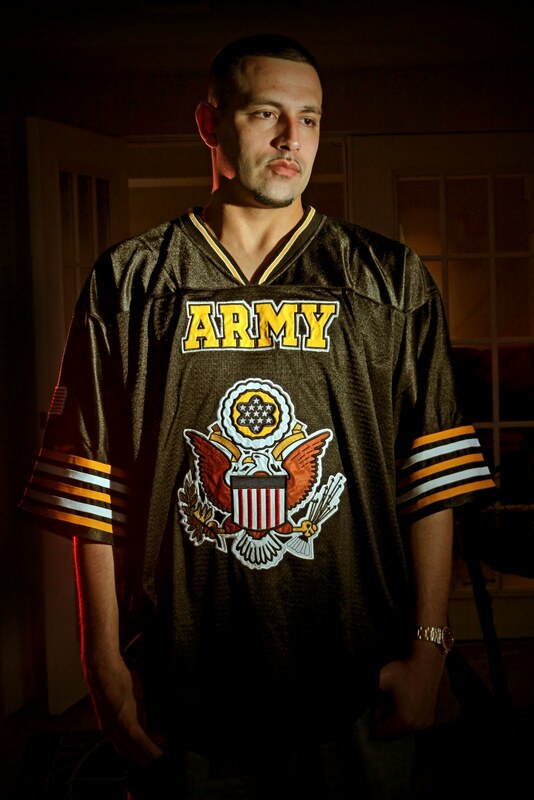 He served in the U.S. Army during the invasion of Iraq in 2003.